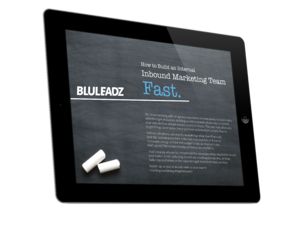 Social media is a major element of any comprehensive inbound marketing strategy. Today, there are many different social channels from Facebook and LinkedIn to Instagram, Pinterest, YouTube, and more. All are important for effective social media marketing, but keeping track of your channels and regularly posting and engaging can take time. The best way to manage your engagement across multiple channels and platforms is through the use of social media management tools. Social media management tools allow you to not only keep track of your posting and engagement with prospects; you can also schedule posts across multiple channels and much more. The variety of social media management tools out there can be a bit overwhelming, for both the novice and the advanced user. So how do you choose the best management tool to meet your needs? How do you know what features to choose? Well, we're here to help! Here are some of the best free social media management tools available to help you manage your social media in 2018 and beyond! Organization is the key to successful marketing. 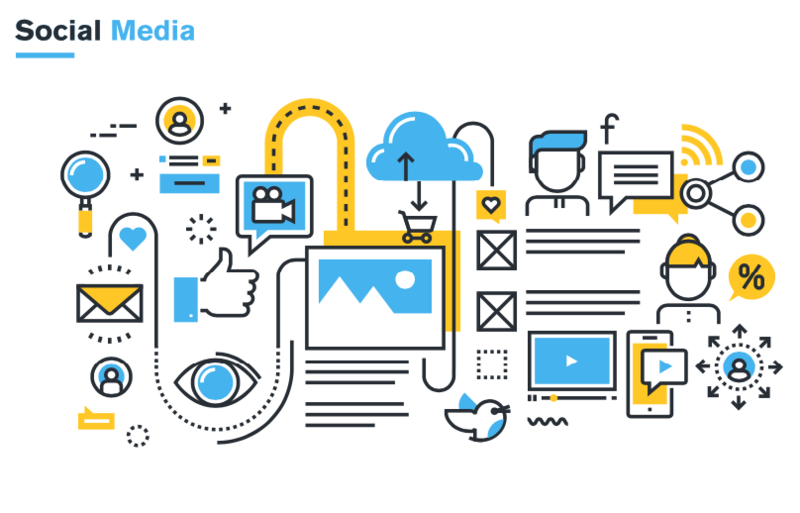 These free social media management tools will help you track and manage multiple social media profiles in a single interface, schedule posts, run contests, track analytics across multiple platforms, and more. Now, keeping up to date with both your Facebook marketing and Twitter marketing will be a breeze! The free plan also includes some basic analytics to help you track followers, various growth and content stats, and two RSS feed integrations. Not too shabby for a free tool. Like Hootsuite, Buffer has been in the social media management space for a long time. Buffer is a respectable platform. It allows you to manage multiple social media profiles easily and includes many of the same features as Hootsuite. It also allows you to schedule content while browsing the web with Chrome extensions. Where Buffer shines is its ability to monitor user activity and then suggest the perfect time to post based on your followers activity. Pretty cool! Twitter is a great platform for engagement. It's easy to use, allows you to connect with any user on the planet directly, and you can start a conversation with your very first tweet! That being said, Twitter is a very noisy platform. Spending a few minutes checking your feed can easily turn into hours! If you are an active Twitter user, take a look at TweetDeck. This management tool allows you to remove some of the noise, making the time you spend researching and engaging on the platform much more efficient. TweetDeck also allows you to create a customized interface where you can monitor specific users, hashtags, your own channel list, or search terms. If you're a serious Twitter user, you'll love TweetDeck. SocialBee is not only easy to use; you can also schedule content for your social channels, grow engagement on your platforms, post evergreen content, curate the best content for you, and much, much more. The best feature is that you're able to categorize content. When you create a social media calendar, you know how many times the content from a category was shared and how it fits into your overall marketing plan. This can be really handy when you have something to promote, like an event, contest, Twitter chat, or Facebook Live broadcast. You can also curate content using SocialBee, making it the perfect tool if curation eats up too much of your time. While it's not a completely free tool, they do offer a free trial, and it's worth it to check this one out! SocialOomph's free option offers a decent feature set that mostly leans towards Twitter management. The free plan allows you to schedule tweets, track keywords, shorten URLs, and manage up to five Twitter accounts. But to really access the more sophisticated features, you need to upgrade. If you like the platform and want to manage multiple social platforms along with Twitter, you'll need to look into the paid plan. Video is one of the fastest growing online marketing tools in use today. Typito is an easy to use, free app that can help. It's a drag and drop interface that lets you make videos using images, videos, and stunning typography. You can also convert videos to different formats with a single click, including square, landscape, or vertical. Then post them to your profiles directly from the app. How much traffic to your website comes from social channels? What pages do visitors spend time on and engage with? How much time do visitors from social sites spend on your website? Google Analytics can give you these answers and a whole lot more. Simply set up analytics on your website to monitor and analyze your traffic. It's a total must have app, and best of all, it's free! SocialPilot is a great suite of social media management tools for agencies. It allows you to manage multiple clients' social media profiles at once and do things like bulk schedule posts in various queues, collaborate among team members, manage clients, and utilize browser extensions. Their free plan includes 3 connected profiles, 10 posts per day, and 30 posts per queue, making it a great entry to the platform and worth checking out! Zoho Social is a great platform if you're growing a business or running an agency. It helps you manage multiple profiles, research for relevant keywords, work with your team, and schedule posts all from a single dashboard. Zoho Social shares many of the same features as other platforms, but they also have Facebook Lead Ads integration, advanced reporting, and a zShare browser plugin. The app also integrates with various CRM platforms. Zoho offers a free option with limited functionality, and upgraded pricing plans start at $8.33 per month. Likeable Hub is a comprehensive social solution that aids in content creation, social listening, social media advertising, lead generation, support, strategy, and more. The free version allows you to create a mobile website and landing pages, and enhance your tweets and LinkedIn posts. The mobile app makes it easy to manage your social presence in a single unified space. While there is plenty of functionality in the free plan, you can also upgrade to paid plans for more advanced features. While social media can seem daunting, using these social media management tools can help you organize your effort, and keep them focused. As you become more proficient with their use, you'll become a much better social marketer and will reap the benefits of this powerful online marketing medium.